The B-52 is one of the most storied aircraft ever built. But most of its legend is shrouded in a peculiar cloak of factors. It's age (nearly 60 years! ), it's mission (these things demolish in a big way), it's service (all-things-Vietnam) get all wrapped up into a package that glows with controversy. And that's how I got here in the first place. I was getting ready to walk a Fourth of July parade to hand out balsa gliders in support of our local air show when one of the other volunteers said, "Hey John. Meet my brother-in-law. He flew B-52s." I had to draw this guy's airplane and tell the story! I won't go into detail on the actual decisions behind bombing Cambodia. If you want to know that, you might want to start with an article found here, written by a Lt. Stephen M. Millett. But I will go into detail on this particular airplane and what it was like to participate in the bombing of Cambodia. This B-52G is the mount flown by Lt. Dave Berkland, 77th Bomb Squadron. I've got a handful of tail-numbers to pick from out of the hundred fifty such B-52s based at Andersen AFB in Guam. I'll have that sorted out by the next post. For this post, however, I want to focus on just why these beasts were so feared. I can sum it up in one fact: 20,250lbs of bombs. If you want to get picky, 27 750lb bombs. And, in a typical "3-ship" flight, thirty tons of explosive would be brought to bear on a concentrated target. Here. This is what it looked like. Photo: US Air Force. Red "OMG GUY" and scale line added by me. Yeah...I said the same thing that you probably just whispered under your breath. Now, the picture above probably wasn't taken over Cambodia. More like Vietnam. 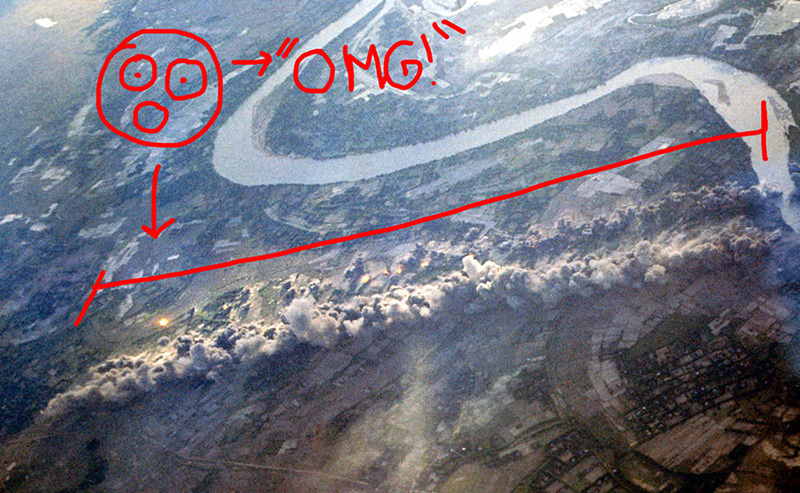 But if there are pictures of a Cambodian bomb run, they have to be spectacular as Dave's missions were at night. If you know of any such pictures, let me know; Dave would like to see one. In all of his 20 combat missions, not once did he observe the results of such a strike. After dropping the bombs, he was busy hefting the bomber onto a new course and away from the target. "Utter boredom," he recalled. "(Those missions) were utterly boring." Boring? Well, from his perspective, I can see it. Each mission was about 13 hours, from wheels-up to the bark of tires on concrete runway that signaled a safe return. In between, the mission involved talking with the navigators about family, taking a nap, looking out the window, monitoring gauges and getting ready to make a turn here or there...boring. Or so he tells me. "I could walk around," Dave remembers. "But those navigators. They had 6 hours at a time, staring at these monitors! And on my break (from co-pilot/pilot duty) I'd walk down and talk with them. Just talk. Family, life stuff. Like I said, my combat missions were boring." But have another look at the photo above. Now, a B-52G over Cambodia would salvo its bombs in a sequence that could take as long as 1 second between bombs. 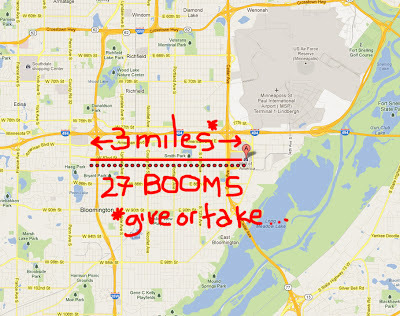 So, 27 bombs would take 27 seconds*. 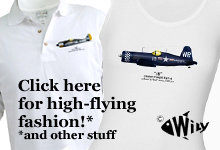 Flying at an indicated speed of 325kts—about 375mph—the 27 bombs would boom their way along a path almost three miles long. Think of it this way. If you were standing in the parking lot of Minneapolis' Mall of America, and a B-52G unloaded her cargo three miles away at a one-per-second salvo, it'd look like this. Ok, so it's really 2.81 miles. All things considered, the 2 tenths of a mile are academic. Anyway, if you were at the Mall of America and heard/felt the first BOOM! three miles away, you'd have about 25 or so seconds to run like hell on a perpendicular course to escape the blast radius. But that assumes you know the direction of the bomb-path. And it assumes you've got a clear lane to run. And it assumes you weren't standing under the first bomb. Now, have a look at the picture below. It was generated by a guy named Taylor Owen to indicate just how much of Cambodia was bombed during the period of 1965-1973. If I read him right, every red dot is a target. A paper he had published at Yale University can be found here. Those are a lot of booms. Ok. Look. I've watched the stats behind this blog for years and I can tell you that interest in "the Vietnam War" is growing and I've had to work to keep up. As a child of the 70's, what I've learned from "the media" is that the United States was an evil monolith that deliberately hunted poor Asian peasants like an eagle hunts mice. But the truth of the matter is this—I've met a few Vietnam-era soldiers, mostly pilots naturally, asked a few questions and was surprised at how little I really knew about this crucial time. And what I did know was tainted by political bias. To be frank, the more I learn, the more I wonder, not why we were there at all but why were weren't there in greater force. Looking back, American leaders made some stupid choices but I'll tell you this, the original questions were shockingly important. Questions like, "If we believe that individuals should be free, how far do we go at promoting that?" and "If we've pledged support to an ally, how far do we go at keeping our word?" and probably the most important questions, "If we do something what will happen? And what if we don't?" *Note. The time between individual bombs could be changed. Dave didn't record or recall the particular timing; the one-per-second rule was just an educated guess. Four and a half months later, I'm back at it; the B-52 I started last August is finally getting some attention. Specifically, a B-52G from Andersen AFB in Guam, 1973. Which B-52G? Well, I've got a copy of the pilot's Individual Flight Record in front of me right now and I'm picking through eleven tail numbers... We'll sort them out later though as my mind is preoccupied two bigger issues. Firstly, I've got to get my head around "the story." The B-52G that gets finished here will be one that took part in the bombing of Cambodia during the Spring and early Summer of 1973. "Cambodia?" you say, "Where the hell is that?! And why should we care about a country that most American school kids couldn't find on a globe?" 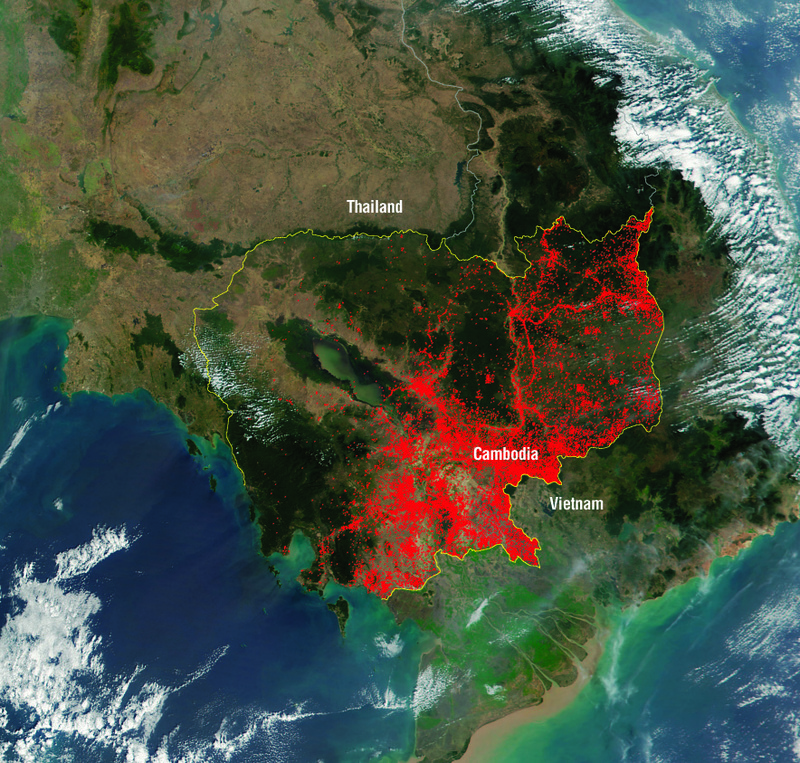 Cambodia shares the Vietnam's western and southern border. Click here if you want to know more. 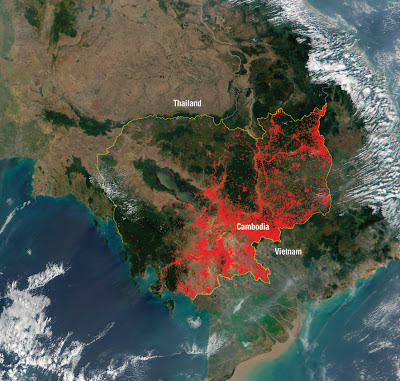 But in terms of "caring," I did a few clicks of my own to learn that about 15 million people live there now, so at least that many people care about Cambodia. There should be more Cambodians though. Maybe two, three million more. At least those are the numbers bantered about when the people who tally death-counts tally the souls lost to the Khmer Rouge. And what's a Khmer Rouge? More on that later, too. We'll just leave Cambodia with this thought for now: Cambodia is probably the most bombed country on earth. Secondly, I've got to get my head around something far more trivial but much more relevant to this post; the actual COLORING of the B-52. The B-52Gs based at Andersen AFB were painted in what is called the "SIOP" camouflage pattern. It stands for "Strategic Integrated Operational Plan." In a nutshell, is an an acronym for an over reaching military plan that contained everything from military strategy to what color the bombers got painted. So, to get really accurate, authentic coloring, I've consulted the witchery of Adobe Photoshop to help me analyze the dozen or so photos from "back in the day." See below. The photo on left is basically the photo I got. It's yellowed tremendously as photos from those days tend to do. The photo on the right is an adjustment I made—an over-exposure—to try to figure out the weathering pattern. The color bars atop represent what's SUPPOSED to be the SIOP camo colors of the B-52; the crew is standing in front of a section of airplane that's likely painted in FS 34179. Doing aircraft markings "always" seems to be like this—a straightforward, stated, documented solution becomes, in practice, a tangle of variables, interpretations and facts that, in the end, really only exist in someone's head.